Riojas, Toros and what to drink with strawberries in season. At a glance, the title of my blog post, may not make sense to you. However, you may be having these items in no particular order. Let me put it in plain words: BBQ meats with Riojas and Toros and desserts based with strawberries. If you are in Ontario, the latest vintage LCBO Catalog ( available from July 8th), offers some interesting Spanish Goodies. Interesting wines to try include the Rioja Bordon from Bodegas Franco Espanolas and Pruno Finca Villacreces. This bodega goes back to the immigration to Rioja by a group of French wine producers looking for new sources for grapes to meet France’s demands. This was the end of the XIX century, after phylloxera devastated the French vineyards. The result of the quest for sourcing new grapes ended in 1890 when Frederick Anglade Saurat, a Bordeaux negociant, formed a joint venture with winegrowers and investors from Spain to create Bodegas Franco Espanolas. The partnership ended in 1922 when the Spanish owners bought out their French partners. Today, the bodega is owned by the Eguizabal. They have turned this company into a well-respected winery that caters to all price ranges. During la Grande Degustation of Montreal, I had the chance to taste their 2008 Reserva. By law, a reserva must be aged in barrel for two full years and held in bottle for another two before release . This is a blend of 80% Tempranillo, 15% Garnacha, and 5% Mazuelo. It spends that two years in medium-toast American white oak, with racking from barrel to barrel every six months. It is quite elegant with brooding black and light-cured tobacco leaf undertones. On the mouth, is quite round and harmonious with flavors bringing to mind toffee, marzipan, sage, and anise. Their 2011 is retailing for $19.95. LCBO #194753. Francois Lurton was in Montreal, in early June to present his wines. 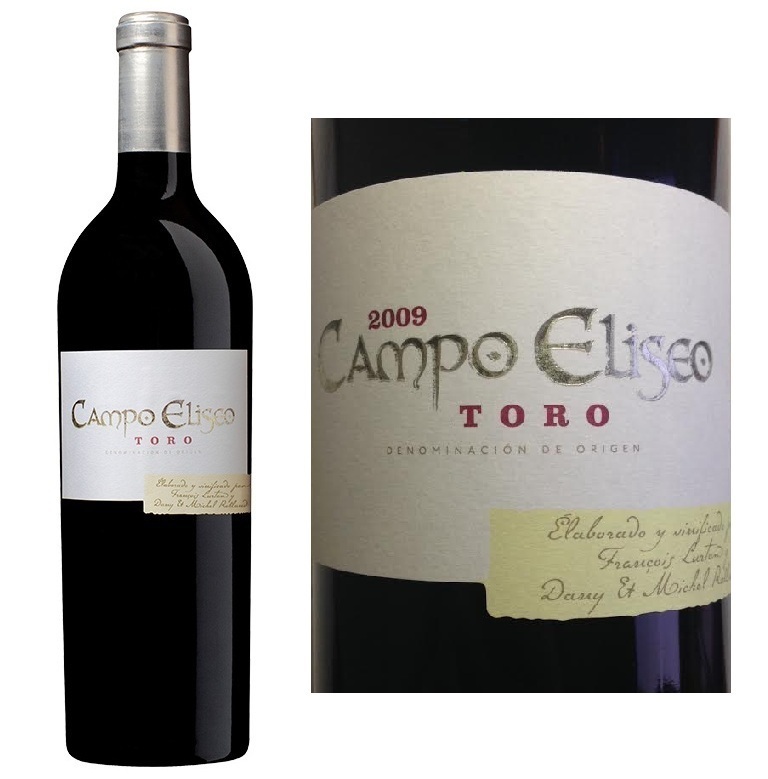 Working with Michel and Dany Rolland, Lurton founded the original Campo Eliseo estate in Toro 16 years ago. This was his introduction into the Spanish wine industry. After mastering the reds, now Lurton wants to make one of the best whites of Spain. It is an ambitious project but Francois is well aligned to make this happen. Francois commented to me that Rueda has become a big business focusing on volume and bland wines. His vision for Rueda is to create a super growth that will pull up the appellation all together. Although his production of his verdejo is an eye raising 250,000 bottles, he is able to combine the best of both worlds: quantity and quality. His Rueda is impressive ( for my tasting note, see my previous post on Vinos and Paella). Lurton picks ripe the Verdejo and ages in less to give its creamy texture. The Verdejo ferments at low temperatures and in a mix of vessels such as barriques, stainless steel and concrete egg fermentation tasks. This system allows the wine to gain an increased depth in complexity in the aromas and texture in the palate. Predominant nose of toasty aromas. Cacao, Ethiopian coffee dark beans with strawberry, raspberry jam and balsamic condiment. Structured and tannic but overall with a sense of balance and harmony. Modern nose. Lots of new wood with wild blackberries. On the mouth, fleshy with lots of tannins and concentration. Seems unbalanced at the moment but will need a few years in the cellar to come all together. On an international style, yet very appealing. Very dark ripe blue fruits with an incredible depth of spice. Full body, dense with lots of chocolate and coffee nuances. Long finale. Sweet accords: Strawberries and wine? A perfect pairing of strawberries with the appropiate wine can be so amazing that it’s worth putting the effort to get it just right. Stay away from rosados (still or sparkling), as any wine without a decent dollop of residual sugar will taste sour and horrible next to the sweet fruit. But if you overdoit with very rich dessert wines, and you threaten to overwhelm the relative delicacy of this sublime berry fruit. I definitely would go with a sweet muscat. Muscat produces good versatile dessert wines. They are juicy and fresh-tasting, even when they come from a warmer region and are bold tasting and weighty in texture. Think apricots, oranges, a drop of caramel. And think affordable. Moscatels from Valencia in Spain are extraordinarily well priced and fit the bill to go with strawberries. 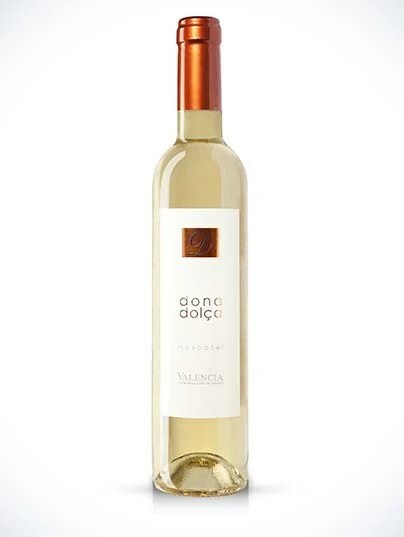 I recently tasted the Dona Dolça Moscatel Valençia ( SAQ # 11096618, $14.55) with a strawberries and zabaglione cream and it was a hit!!!. A Moscatel de Alejandría, it display notes of honey, nougat with peach and citric undertones. On the mouth, it was well-balanced. Not too sweet with a refreshing acidity complementing well the nature of the dessert.